Because of the partial government shutdown, most of the monumental core in Washington, D.C. is not being maintained. That means that icons like the Lincoln Memorial and its Reflecting Pool look a little less majestic. But, today, a South Carolina man, took matters into his own hands and made news by doing what the government won’t do. 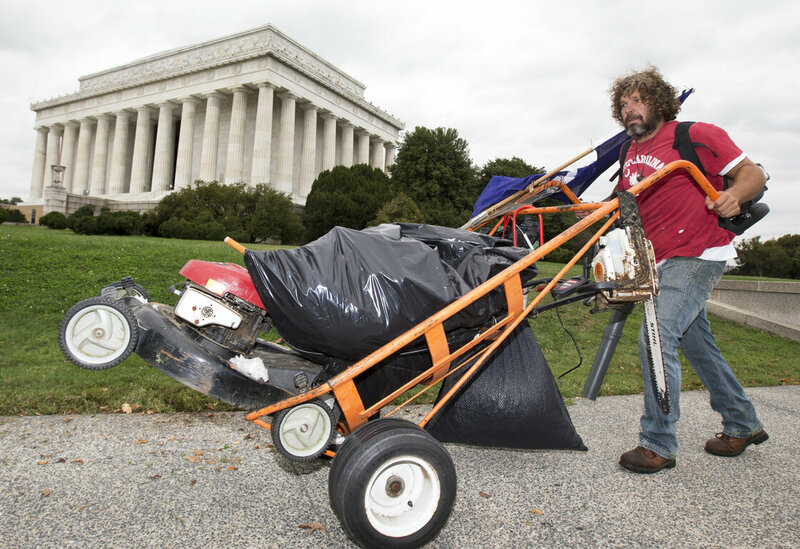 As The Washington Post reports, Chris Cox, 45, bought an old lawn mower and a leaf blower and got to work, making sure the lawn was nice and kempt and some fallen tree limbs were moved out of the way.